On Tuesday 22 May, in superb weather conditions, all students from Year 3-6 competed in the school’s annual Cross Country Championships at Menzies Park. All students are to be congratulated on the spirit in which they competed. A huge thank you to Mrs Putt and Mrs Kenny for their outstanding organisation of another very successful carnival. Congratulations to Shakespeare who won by only two points from Braithwaite. Well done to the champions and runners up of each year level. A reminder to parents that Friday 1 June is a School Development Day so students do not attend and Monday 4 June is a Public Holiday for WA Day. Kate J with her dragon! During Term 2 all Year 6 students presented a prepared speech to their peers on a chosen topic. Eighteen of these students then became finalists and presented their speeches to an audience of students and family members on Monday 14 May. All eighteen students are to be congratulated on the high standard of their presentations. 1st Kate J, 2nd Josie P, 3rd Amelie HS and 4th Marie B.
Kate will now go on to represent the school at the Perth Primary Speakers Awards sponsored by John Carey MLA, State Member for Perth. As one of our school activities during reconciliation week our wonderful Art teacher Mrs Edmiston is leading a team of enthusiastic students to paint a reconciliation themed mural on the wall at the upper level facing the tiger turf behind the canteen. You will see the progress over the coming weeks. The next challenge we face using the new Kiss and Ride procedure will come when the wet weather arrives. If it is raining at 3.00pm we will marshall the students on the front verandah outside the Art Room. The first pick up point will be moved to outside the gate opposite the verandah so our students will have a shorter distance to get to their car in the rain. Our annual Year 6 Italian Dinner at Siena’s, Leederville was held on Wednesday 16 May and 95 excited and elegantly dressed students were in attendance – a school record! Popular dishes this year were gnocchi in a delicious tomato sugo and pizza con salsiccia with most students managing to devour their adult portion servings with ease. I was very proud of the Year 6 students’ excellent behaviour and members of the community also noticed their maturity and great manners. Bravissimi studenti! Special thanks to Miss French, Mrs Gillies, Mr Lawrence, Mrs Mears and Mr Mackesey for their invaluable assistance on the evening. Una serata meravigliosa! May is cystic fibrosis (CF) awareness month, and the last Friday in May is 65 Roses Day, our national day of CF awareness. Every year, on 65 Roses Day, we paint Western Australia with roses to raise funds and awareness for people living with CF. The funds raised from these fundraising events will help support our vital services programs and research funding for children and adults with CF in Western Australia. We are acknowledging this special day in support of a family in our school community. On Friday morning, Year 1 parents will be selling roses before school outside classrooms at $5.00 each or $50.00 for a dozen. There will also be a cake stall at the Friday morning Assembly in the undercover area, so please bring your $$$ to support this important cause. If you would like to donate cakes for the stall please drop them off to the Undercover Area at 8.30am on Friday morning (please include label with ingredients). Please be aware we had some families confirm threadworm in their children. Please find this link to the fact sheet and please encourage your children to be vigilant with hand washing routines. We will support and raise the vigilance at school. 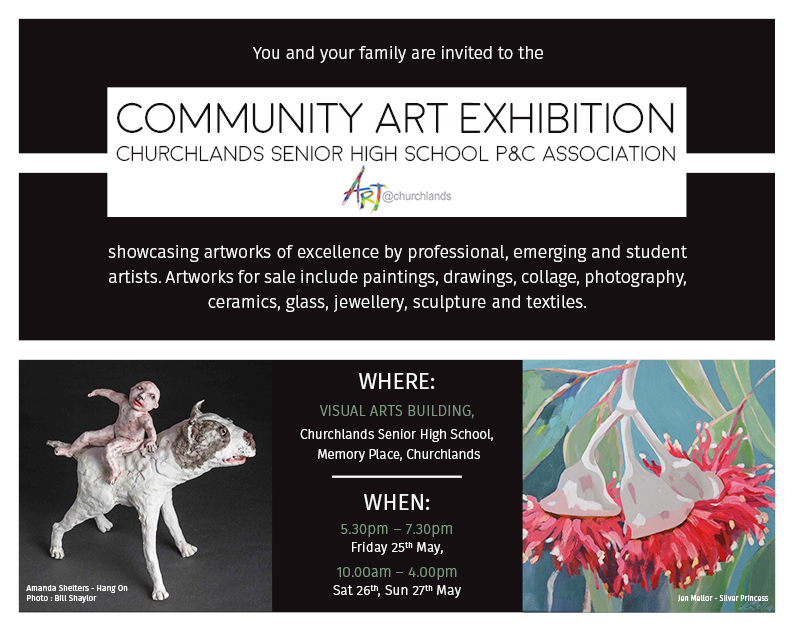 Mount Hawthorn parents and family are invited to attend the Churchlands Community Art Exhibition 25 to 27 May 2018 in the Visual Arts Building at Churchlands SHS. SCHOOL DEVELOPMENT DAY – Students do not attend. Sunday 17 June at 12.00 noon. Event Cinemas 57 Liege St Innaloo. Tickets $15.00 each – strictly limited to 200 tickets. Book online at www.trybooking.com/VXMJ or at Friday Assemblies. The Fathering Project team, the Mountain GOATs, are excited to announce our first Amazing Race around Mount Hawthorn, taking place on Sunday 3 June. The objective is to work with your children through a series of clues to navigate your team’s way around Mount Hawthorn, starting and finishing in Braithwaite Park. Some stops will provide simple links to your next location, while others will involve taking part in fun activities for your team. The City of Vincent are kindly sponsoring the event, and we have involvement from Mount Hawthorn Hub, Transition Town Vincent, ANZAC Cottage and a number of local businesses. There will be some great prizes that have been generously provided by Perth MLA John Carey. Teams are based on a single father or father figure with as many kids as you’re in charge of for the day. The fun starts at 2pm, followed by a BBQ for dads and kids. This event is suitable for all MHPS kids. Distances are not huge, but younger kids may want to use a scooter to get around. The cost is $20 per team. Please sign up here if you want to join in on the fun. To find out more about the group and to keep an eye on what’s going on, please like and follow our Facebook group or sign-up to our mailing list. Find out more about the Fathering Project here. The P&C is selling Entertainment Books to help raise funds for the school. Have you got yours yet? Is there anyone you know who might like one? Books (digital or hard copy) cost $70 and contain hundreds and hundreds of deals. You will get your money back very easily and for every book sold, the school receives $14. To purchase, simply follow THIS LINK and it would be very much appreciated if you forwarded it on to anyone you think might be interested in buying an Entertainment Book. Friday 21 September – lapathon fundraiser.